The game will start at 8 pm today. Before that, a gala opening ceremony will take place to welcome the new decade of Indian Premier League. IPL has already completed its 10 years of inception. There will be a lot of Bollywood stars to perform on the stage. Hrithik Roshan is the show stopper for this time. 1.1 When (Date & Time) is IPL 2018 opening ceremony? 1.2 Venue: Where is the Ceremony? 1.3 Telecast / Broadcast: TV Channels? 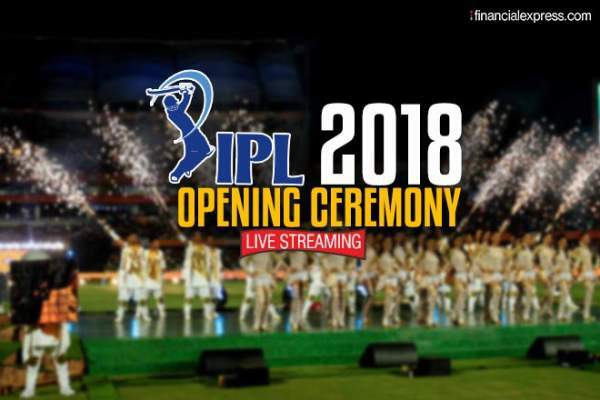 1.4 How To Watch IPL 2018 Opening Ceremony Live Streaming Online? Apart from Hrithik, Tamannaah, Varun Dhawan Jacqueline Fernandez, Yami Gautam, etc. will perform at the opening ceremony of IPL 2018. Below, we have the complete details regarding the IPL openingceremony right from Mumbai. Let’s get deep into the details. Ranveer Singh and Parineeti Chopra opted out due to reasons. Ranveer cited a shoulder injury while Parineeti said that she didn’t feel fully prepared. Thus, she didn’t want to put up a compromised performance on such a huge occasion. CSK is returning after a two-year ban due to spot-fixing. MS Dhoni will captain CSK while Rohit Sharma will lead MI. When (Date & Time) is IPL 2018 opening ceremony? The ceremony for the Indian Premier League‘s 11th season is scheduled to take place on April 7, 2018, Saturday at 6:30 pm IST. Venue: Where is the Ceremony? The 2018 IPL opening ceremony will take place at Wankhede Stadium situated in Mumbai. Telecast / Broadcast: TV Channels? The season opener will have a live telecast on Star Sports network. The English commentary will be on Star Sports 1, StarSports 1 HD, Star Sports Select 1, and StarSports Select 1 HD. For updates in Hindi, the viewers can switch to Star Sports 1 Hindi and Star Sports 1 Hindi HD. How To Watch IPL 2018 Opening Ceremony Live Streaming Online? You can watch it online on Hotstar and Jio TV. There will be some major Bollywood stars with lots of props, drum rolls, many supporting artists and a celebration which will leave everyone spellbound. Stay tuned to The Reporter Times for more cricket news. Previous article‘Kingdom Hearts 3’ Release Date and Rumors: Will It Feature Marvel and ‘Star Wars’ World ?